With the purpose of foresight of the possible future path of development of Ukraine and generation of scenarios of such development in the mid-term (up to 2020) and long-term (up to 2030) perspective, the World Data Center for Geoinformatics and Sustainable Development (http://wdc.org.ua/) of the International Council for Science (ICSU) at the National Technical University of Ukraine “Igor Sikorsky Kyiv Polytechnic Institute” and the Institute for Applied System Analysis of the Ministry of Education and Science of Ukraine and The National Academy of Sciences of Ukraine carried out the number of researches (read more). 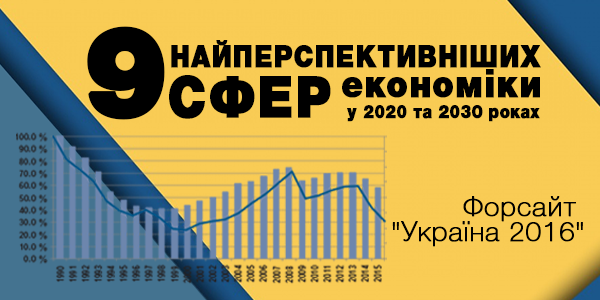 -	the third research «Foresight 2016» is to be published in the current 2016 (ukrainian version). The research was performed under support of Agrarian Superstate Foundation. Short description of research results can be found here.